Ahh, it’s the month of love. Everywhere you go, you can see evidence of Valentines Day fast approaching. Romantic films, flowers, and cute heart shaped boxes all around could make it a daunting day for us single girls. One thing I’ve learnt being a girl that has never celebrated Valentine’s Day is to never feel sorry for myself. Instead, I take this time to reflect on who I am and celebrate my life before Mr. Right comes along. Today, I thought I’d let you know the top three activities I’m considering doing this Valentine’s Day with my amazing unattached friends. I’m a massive fan of a good girls night in. There is nothing better than wearing your PJ’s, watching chick flicks and ordering takeout with friends. However, I’m not planning on doing that. I’m ditching the PJ’s for lingerie, pizza for cocktails… (Cosmos anyone?!) and chick flicks for some good house music. Yup … I’m considering hosting a lingerie party – the perfect way to feel good about yourself and your body. Valentine’s day is also a great day for me to check things off my bucket list by gathering my friends for some good affordable activities. Thanks to sites like Groupon and Wowcher I can find some fun things to do for a reasonable price. Whether it’s going on a hot air balloon ride or having dinner and champagne at a 5* hotel you will create new memories as the day goes on. As always, I will constantly update you guys via my social media. 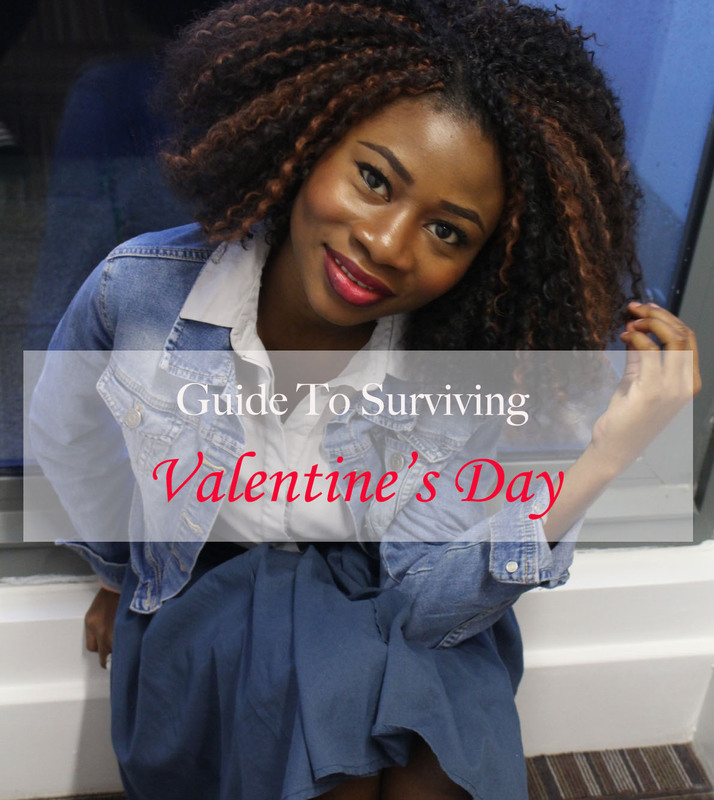 Do you have any ideas on how you want to spend your valentines day as a single girl? Nice post. Not sure how am spending mine. Left that to the hubby to decide. Let him do the planning. I was a miserable git back when I was single but even when I was dating my husband, we usually just stay home and I prepare a lovely dinner. I personally think Valentine’s is just another way for businesses to squeeze extra $$$ from lovebirds. You should celebrate love everyday and not just one day of the year..
I’ve done a ‘come dine with me’ competition with my friends, we even filmed our scores and made a video like the tv show, sooooo much fun! I just went out with a friend and vlogged it!